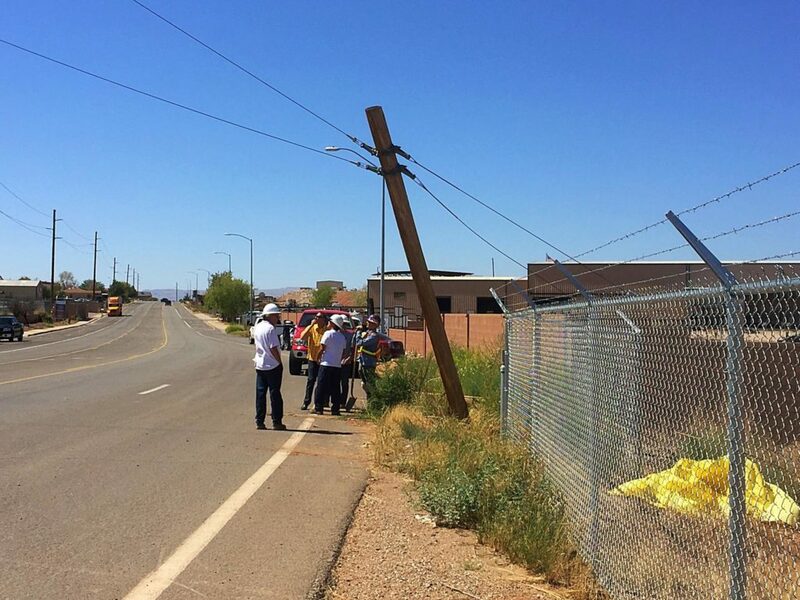 WASHINGTON CITY — A 75-year-old man was transported to the hospital Thursday after crashing his SUV into a Washington City power pole. 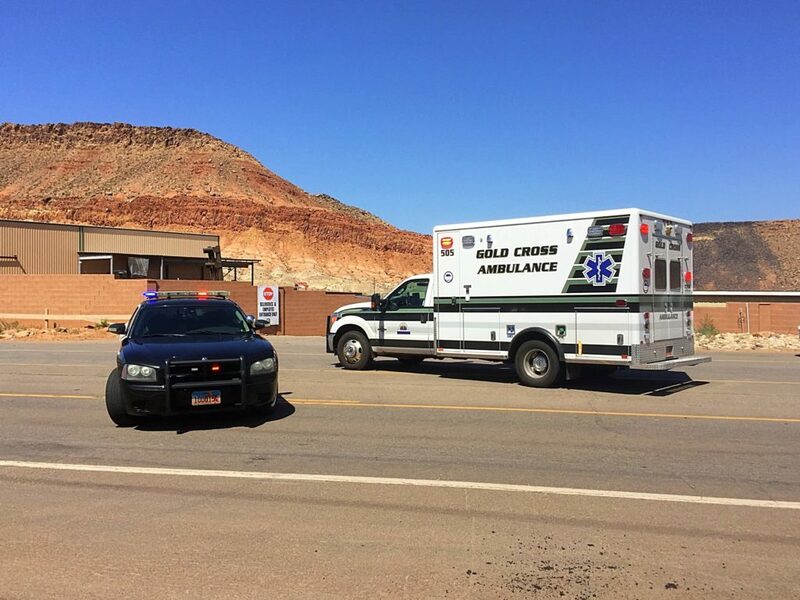 Police believe the man may have suffered a possible medical condition causing him to lose control of his vehicle and crash, Washington City Police Public Information Officer Ed Kantor said. 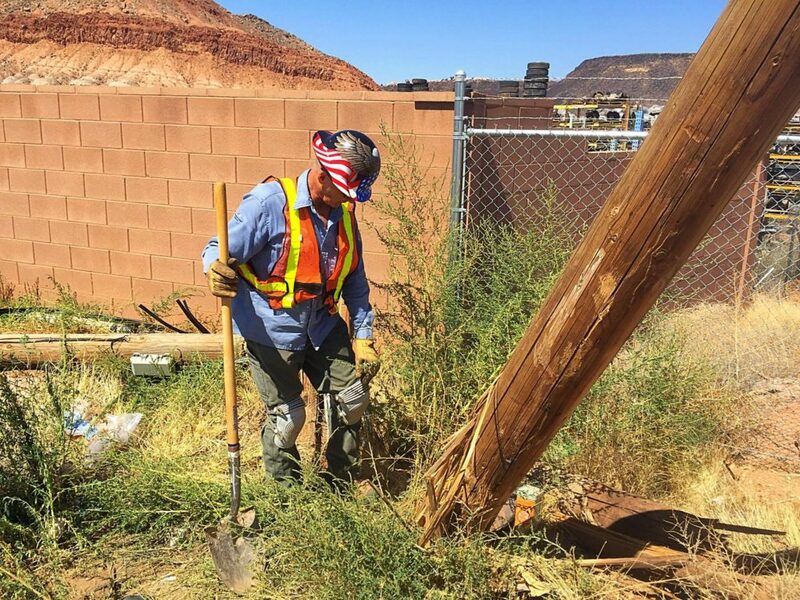 However, the exact cause is still under investigation. 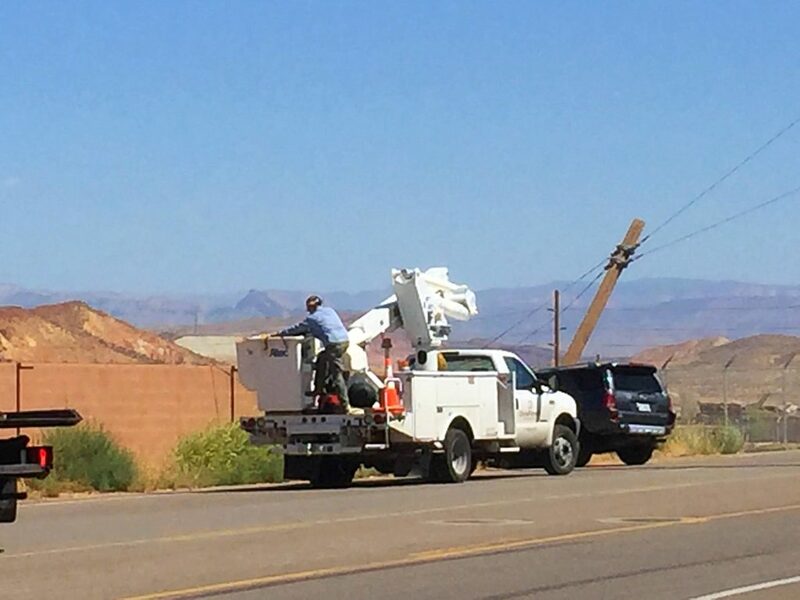 The man had been driving east on Washington Dam Road at approximately 12:10 p.m. when he left the roadway and smashed into a power pole near 1795 West, police said. 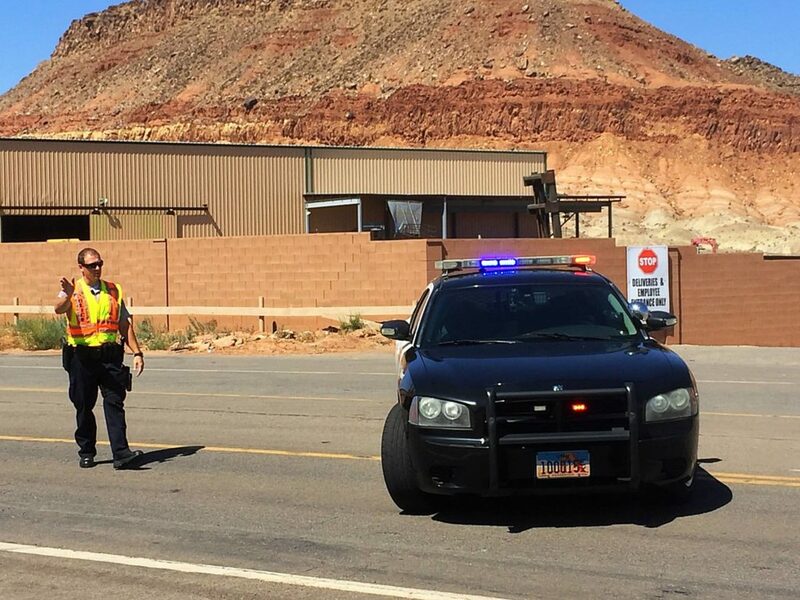 The man was transported to Dixie Regional Medical Center in St. George, Kantor said. 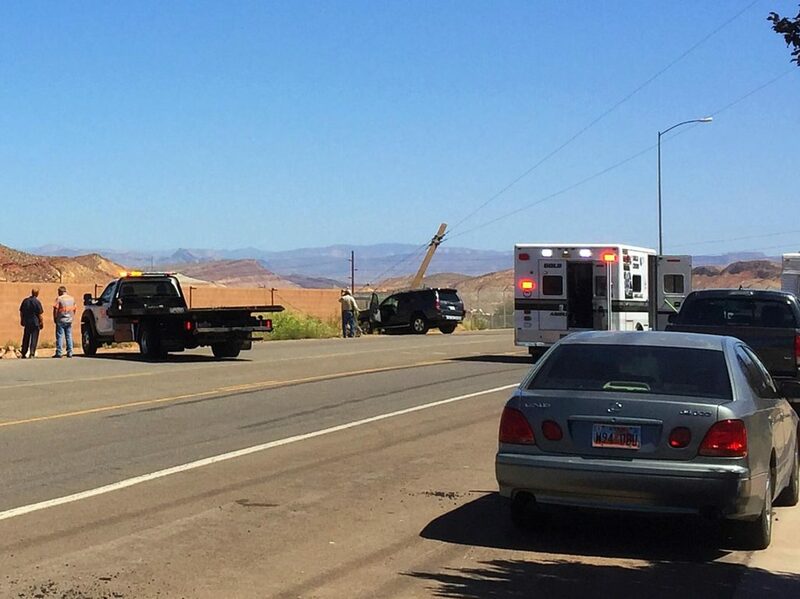 No other occupants were in the vehicle at the time of the collision and no other injuries were reported. 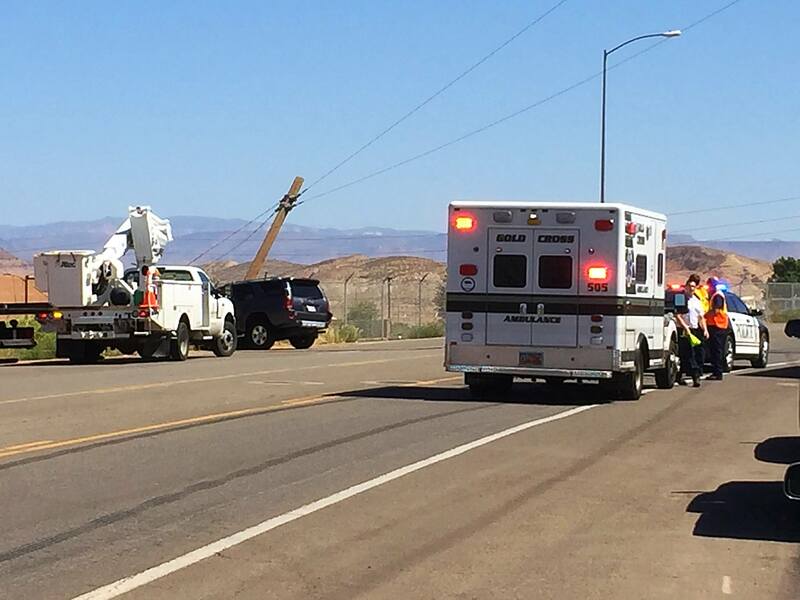 As a result of the crash, the man’s SUV was rendered inoperable and had to be towed from the scene, and the power pole was completely destroyed. 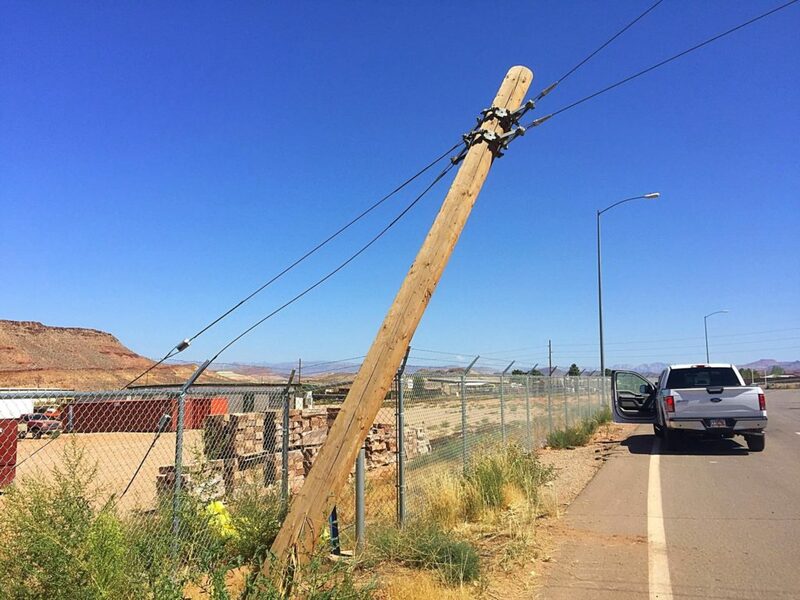 When a driver crashes into a power pole or utility box, Kantor said the safest thing to do is remain inside your vehicle until you know the power has been shut off and that your vehicle and the ground are not energized. 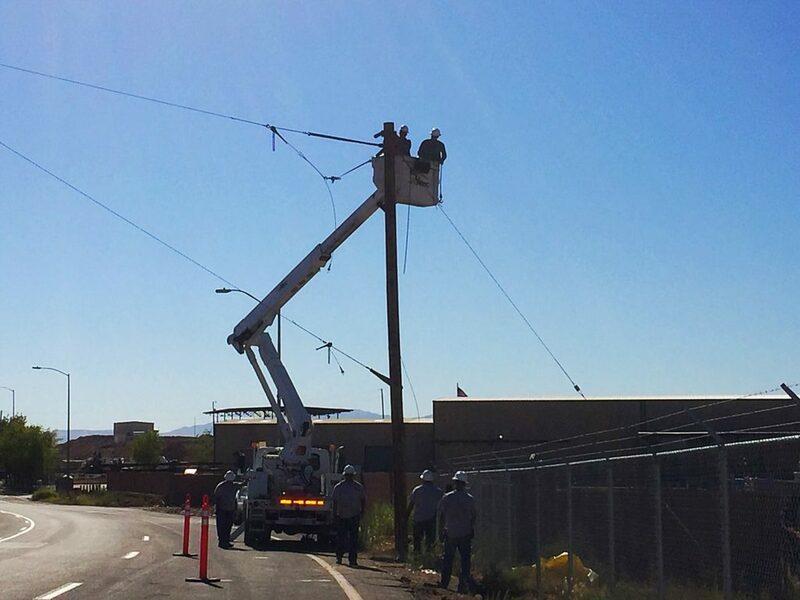 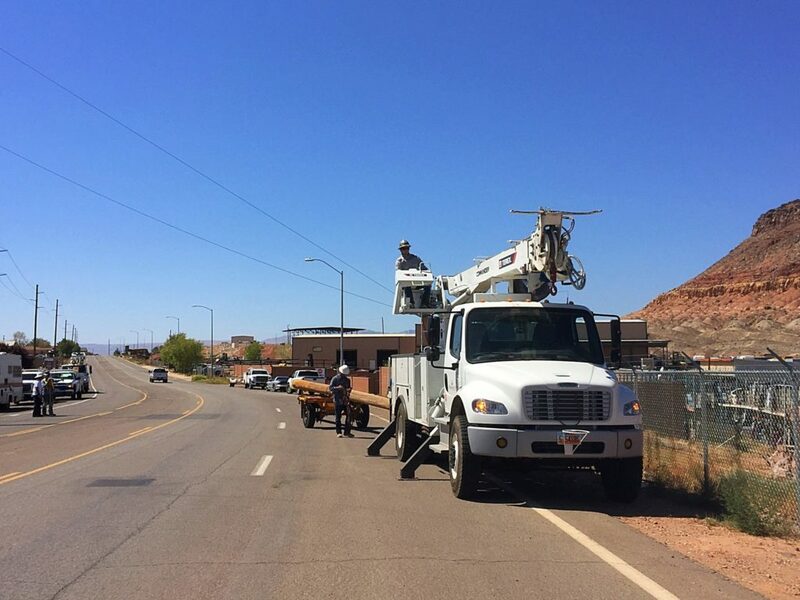 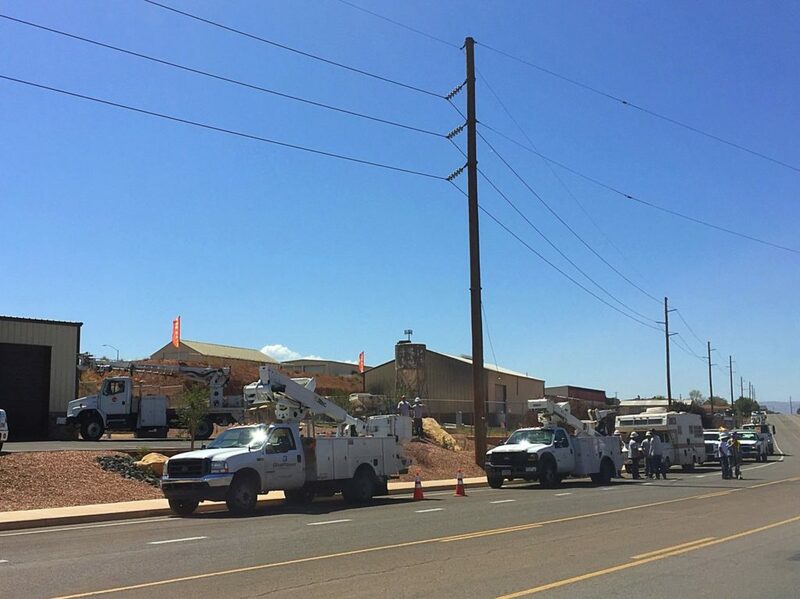 Workers from three different power departments – including Dixie Power, Washington City and City of St. George – were on scene to safely replace the power pole. 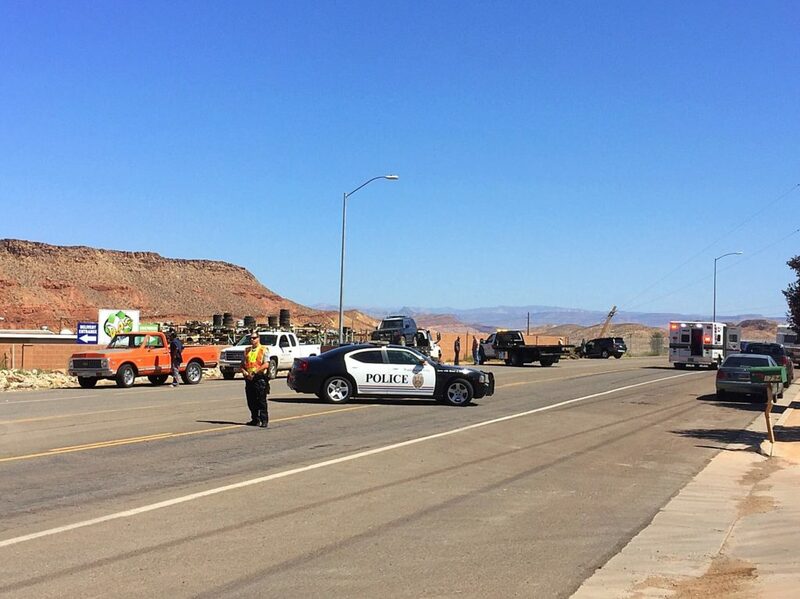 A portion of Washington Dam Road was closed for approximately an hour while crews tended to the scene.